Chris O’Neill is the CEO @ Evernote, the productivity powerhouse allowing millions of users around the world to remember everything. They have raised over $160m in VC funding from some of the best in the business including the likes of Sequoia Capital. As for Chris, prior to Evernote, he spent over 10 years at Google including roles as Managing Director of Google Canada and global business operations at Google X. Whilst at Google Chris saw the hyper growth of the company from startup t a global behemoth. 1.) 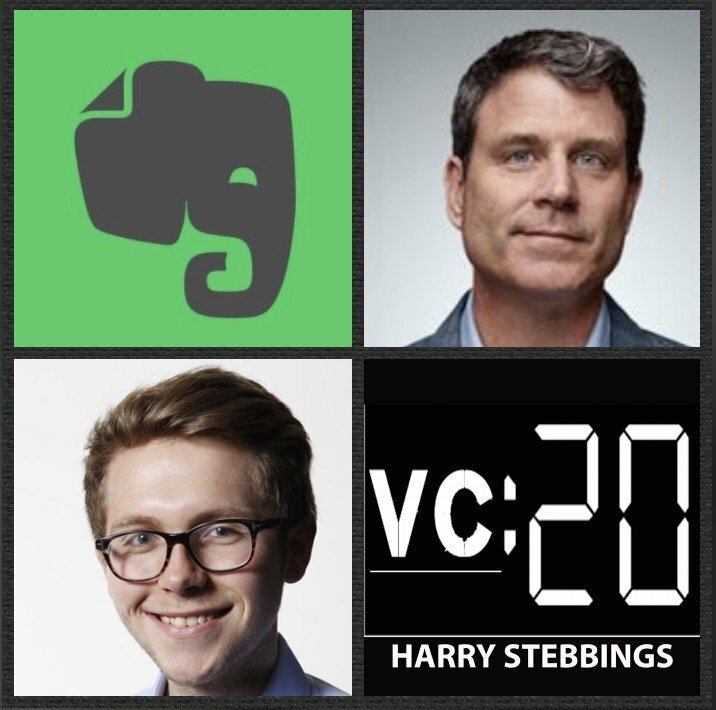 How Chris made his way into startups and came to be CEO @ Evernote? 2.) Chris has previously said ‘the team you build is the culture you build’. How does Chris look to build high-performance teams that can scale differing stages of company growth? Are individuals destined to fit one stage of company growth? 3.) How does Chris look to balance the immediacy of short terms actions and events with the grander vision and longer term in mind? What are the challenges? What strategies can be done to ensure both short and long term goals are addressed? 4.) How does Chris approach product line expansion? When is the right time and reason to expand the product line? How can this be communicated and executed across the broader team? 5.) Chris has previously said he ‘learned more from sport than he did from school’. What were Chris major takeaways from sport? How can they be applied to business and his role @ Evernote today? As always you can follow Harry, The Twenty Minute VC and Chris on Twitter here! ViewedIt is a free video-recording tool that makes it easy for organizations to embrace the power of video for personalized communications. ViewedIt enables sales professionals, executive leaders and customer support teams to easily record personalized videos and add them to their email conversations. Plus, with built-in tracking powered by the Vidyard platform, video creators will know who is watching what, and which video messages resonate with viewers. They’ll receive immediate playback notifications that will eliminate the wondering of whether the recipient received or watched their content. Find out more and download ViewedIt for free at vidyard.com/viewedit.